L&R began doing business in 1984…but not as a marketing communications firm. 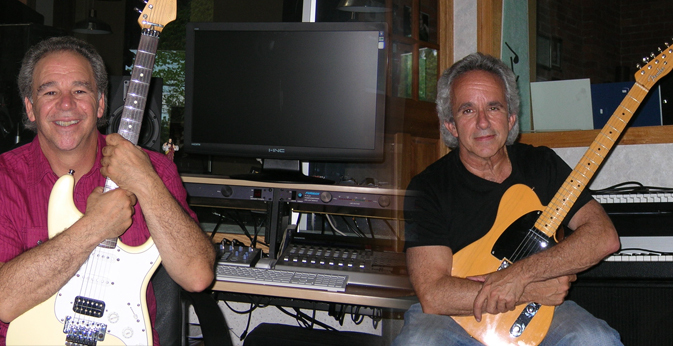 Founded by Tom Russo and Paul Lombardo who started by writing and producing jingles. Over time, our clients liked what they heard and saw, and wanted to know what else we had up our sleeves. The clear answer was and remains: plenty! Today, there's no end to our marketing and related capabilities, as we're confident our Website will demonstrate. Either way, we're glad you could join us. We'd be even happier to have the chance to demonstrate just how effective your advertising and marketing can be…with L&R squarely behind the controls. To check out infomercial production samples from our portfolio. Or, to schedule a no-obligation marketing and advertising consultation, contact us today. Catch Tom's online radio show, "Business Buzz." Each week, Tom talks live with a variety of business owners and consultants about the issues companies and organizations must solve to successfully grow in the 21st Century. It all makes for lively and enlightening conversation, and a lot of practical information as well. Learn more and tune in. Most people who know Tom know that he is first and foremost a dad! Tom has co-written a book with Dr. Dorothy Martin-Neville about raising children. "Unkiditional Love" explores the differences and similarities in how men and women approach raising children. With humor and insight, Tom and Dr. Dorothy apply their 50 plus years of combined experience as parents to give you more than a "He said, She said" approach to child rearing. "Unkiditional Love" is a whole new, balanced way of raising happy and healthy children. Learn more and buy the book.